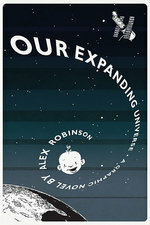 News | Alex Robinson Voyages Into OUR EXPANDING UNIVERSE! Ever since the days of his massive award-winning debut Box Office Poison, Alex Robinson has been one of the indie comics community's biggest stars — "A master cartoonist," as Publishers Weekly put it. Now, like Halley's comet, he's completed another lengthy trip around the solar system and come back with a powerful new graphic novel: Our Expanding Universe! A 256-page, b&w softcover graphic novel with flaps, 6 1/2” x 9 5/8”. 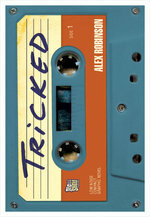 Click here to read an 8-page preview! But why stop there? 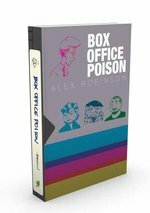 Along with the release of Our Expanding Universe, we're proud to unveil a snazzy new edition of Alex Robinson's groundbreaking and widely beloved debut, Box Office Poison! 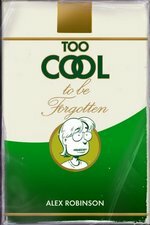 This 608-page opus — following an unforgettable ensemble cast through dreary jobs, messy apartments, new love, naked roommates, and comic-industry exploitation — has received such honors as the Eisner Award and the Angoulême Prix du Premier Album, and was declared by Wizard Magazine the best indy graphic novel of all time. A 608-page, b&w softcover graphic novel, 6 1/2” x 9 5/8”. Click here to read a 5-page preview!